Free To Air Satellite Services S.A.
Free To Air Satellite Services, South Australia is a professional Satellite Television equipment organization, operating for the past 28 years throughout Metropolitan Adelaide, and the regional areas of South Australia. Our installations extend from Mildura to Ceduna, and Cober Pedy to Mt Gambier. Free To Air Satellite Services can supply systems to give you access to a wide variety of channels, from many countries with NO MONTHLY ACCESS FEES! All you do is request us to supply and install the required equipment, then sit back and enjoy 24 hrs of Top English Movies, Sport, News, Documentaries, Cartoons, Music and Game Shows with over 300 channels from all over the world, all with wonderful DIGITAL pictures and STEREO sound. Why continue to put up with the same brain washing TV adverts and watching the same program over and over when you can have FRESH, HOT OFF THE SATELLITE SHOWS that will be the envy of your friends. There is always something to watch 24 hours every day of the year. The English Movies are great, the News channels bring the truth and the Game shows are out of this world. We install complete systems to receive 24 hour RAI Italian TV, plus 45 other channels from around the world, using the correct size Heavy Duty Dish of 2.3mtrs and the latest STRONG High Definition Full Function Receiver (SRT4922B+) with USB Record Facilities. NO SUBSCRIPTION REQUIRED - ITS 100% FREE! NO INTERNET CONNECTION - NO BUFFERING OR DATA USAGE! We ONLY supply and fit 2.3mtr EXTRA HEAVY DUTY Satellite dishes for our customers. NOT cheap 'standard' dishes. 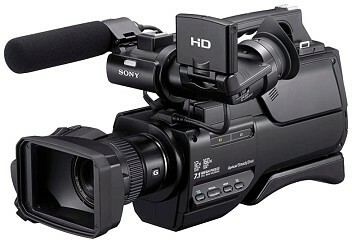 We UNPACK all our equipment in front of your eyes as packaged from the factory. This ensures your get what you are paying for. Brand new equipment as promised. WARNING: Please be aware there are illegal Internet streaming devices being sold in Australia under the guise that they are ok, because the signals come via the net. When I asked a supplier to provide evidence these are legal, they just hung up. People from around the world have been arrested for selling these boxes, most recently in Singapore, Thailand and Europe. If you must have an internet box, please choose a legal service such as Foxtel or Fetch TV. In that way, part of your subscription is given to the people who do all the hard work of producing shows. Governments including Australia are aware of these illegal streaming boxes, and are in the process of closed them down by denying their access to the net. Two more were arrested in the first week of April 2018. This week, two suppliers of Kodi-type illegal devices have each been jailed for four and half years in Newcastle Crown Court in the northwest of England after being found guilty of conspiracy to defraud. 380+ Free International TV Channels! An installed 2.3mtr Heavy Duty Motorised Dish with Full Feature High Definition Receiver will let you see the world, with no internet data fees. 13 Free Christian TV Channels! 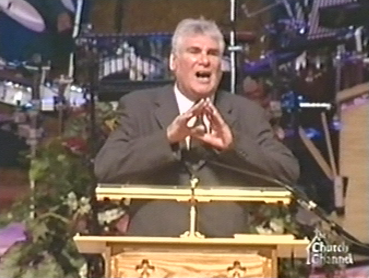 3ABN, HOPE, EWTN, DAYSTAR, TRINITY, INSPIRATION, ACCTV, GOD TV, AMAZING DISCOVERIES, HILLSONG, SBN, TELEPACE & THE WORD. ALL FREE OF ANY MONTHLY FEES OR DATA USAGE! More channels are being added regularly, as forward thinking countries realize the excellent potential available for increased tourism and economic growth through free to air broadcasts on satellite reaching a vast global audience, and at the same time, bringing people, news, culture, entertainment, and movies from their home country. Do you have a special event coming up such as a Wedding, School Concert, Drama or even a Funeral you would like to have on DVD or Bluray to keep forever? We also provide tape to DVD & Blu-ray conversions! Installed July 2004, This Dish, Satellite Equipment, Toshiba Projector and 8 Foot Screen was installed for the Lebanese Community at Westbourne Park in Adelaide. The Lebanese and Arabic channels are fed to the Archbishop's quarters and Community Hall for all to enjoy. 2.3mtr motorised dish for the Flinders University. Providing students with an extensive range of channels, the programs are recorded onto a Topfield Digital Receiver with 80gig hard drive. The recorded programs are then exported through the USB 2.0 connection, and 'streamed' through out the entire university campus. One of the many dishes installed at Millicent for the Italians living in South East. They are now enjoying Italian Movies, Sport, News, Documentaries and Entertainment with NO MONTHLY FEES! 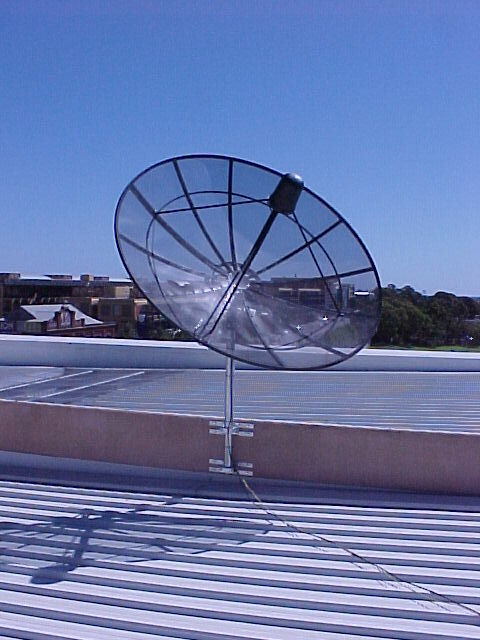 Picture of a 2.3mtr motorised C Band dish installed above the Production Studios at the Australian Broadcasting Corporation, Collinswood in South Australia. 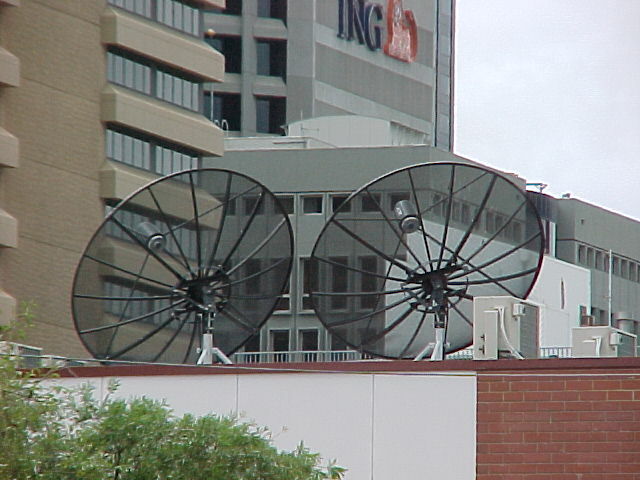 This dish and equipment supplied and installed as a joint venture between Adelaide Video Screens and Free To Air Satellite Services, is being utilised by ABC staff for producing the Australia Network. Australia Network is available to any of our customers having a Free To Air Satellite System installed, meaning they can enjoy English Dramas, Sport, Documentaries, News and Information, that is of the highest possible standard. Picture of two 2.5mtr fixed satellite dishes providing multi-language access. Installed above the St ALOYSIUS COLLEGE, Wakefield St, Adelaide City. Students are able to view their home country television channels on a giant video wall. 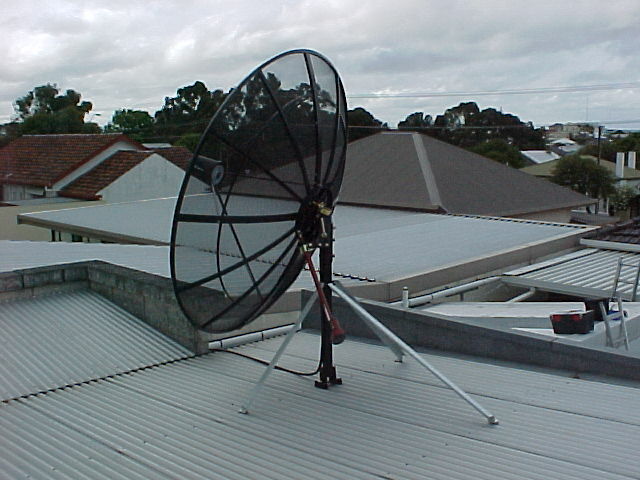 This 2.3mtr Dish and hardware can be called upon by the Adelaide Convention Centre to supply satellite feeds for special events, such as on this occasion, a visit by the former President of the United States, Mr Bill Clinton.